Love it! So much easier to clean our wood floors. The Oreck SurfaceScrub scrubs, washes and dries. Simply move forward to gently scrub your floors with the SpinBrush 360 Technology, then pull it back to dry with powerful suction. 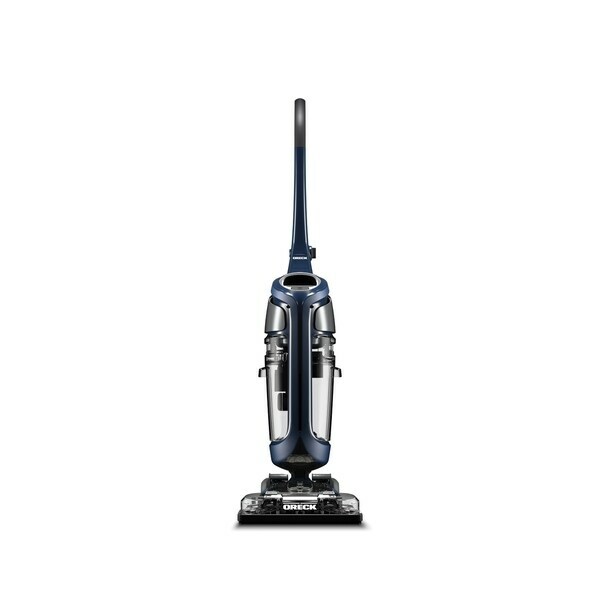 Convenient features make it easy to put away the mop and bucket, including Smart Suction Technology, an 11.3 inch Nozzle and 30 foot cord. It even keeps dirty water off your floor with innovative Two Tank Technology. At only 13 pounds, it’s easy to push and carry anywhere in your home. Dimensions 12.75 In. X 13.5 In. X 24.75 In. It appears to be what Im looking for. After trying it I will see.